On F-14 Tomcat pinball machines, there is a light board mounted on the right side of the back wall of the playfield. This light board holds the 6 flashers that are under the red (or white) domes. Almost every F-14 Tomcat pinball machine I’ve worked on has had a damaged light board. Original F-14 Tomcat light board with broken sockets. 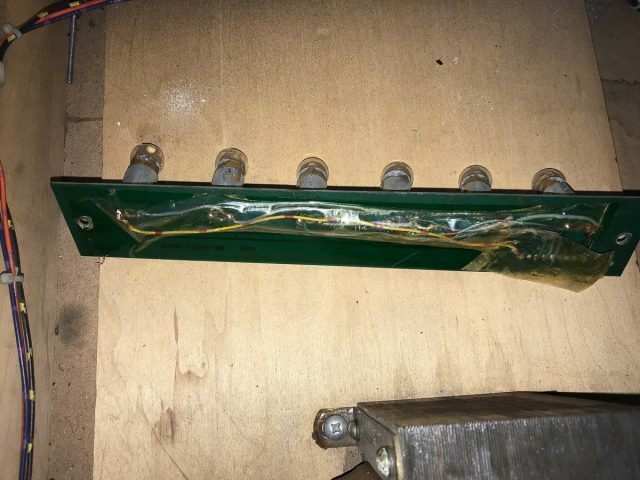 Original F-14 light board, with damaged circuit board traces and someone’s attempt at fixing them. The Williams part number for the circuit board is 5768-12151-00. After searching around for an after-market replacement, and not finding one, I decided to design and make a new one. New replacement board by Peak Pinball at the bottom. 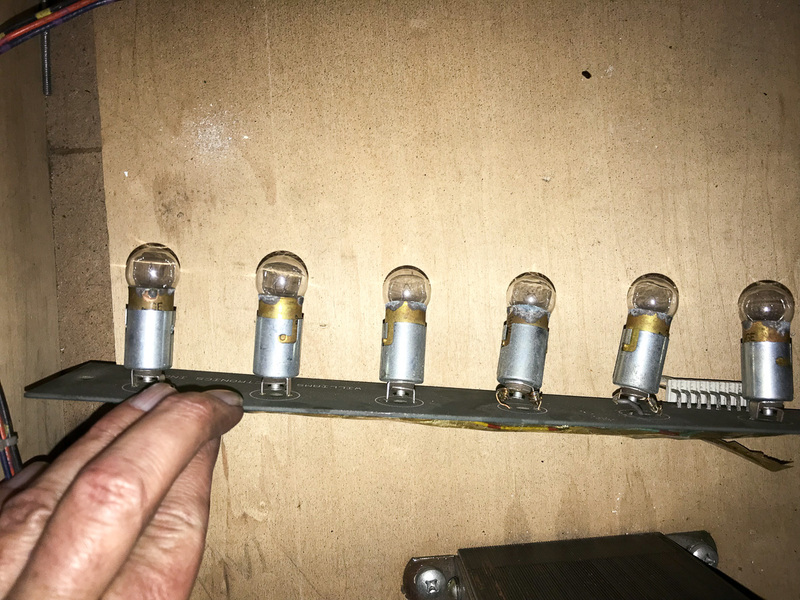 The new board features #906 wedge type sockets with “L” brackets for support, beefier circuit board traces, repositioned connector and LED type flasher bulbs. I installed the new board into my customer’s machine and it worked perfectly. This entry was posted in Pinball, Repairs and tagged F-14 Tomcat, Light board, Williams by Randy. Bookmark the permalink.